I’m always on the lookout for a good story set in Hong Kong. So it was with great delight that I recently read Rhiannon Jenkins Tsang’s epic novel, The Woman Who Lost China (Open Books, 2013). While the story mainly takes place in China during WWII and the Chinese civil war, it includes some amazing scenes in Hong Kong. Manying is an independent woman born during the early years of the Republic. She marries a man named Xiong, or Bear, and finds herself all alone when he goes off to fight against the Japanese and later the Communists. Manying is a young mother when her childhood sweetheart, Zheng, saves her life and that of her infant son. Mother and son flee to Hong Kong, where Bear has a brother and sister-in-law. After the Communists take China in 1949, Bear makes his way to Hong Kong and reunites with his family. 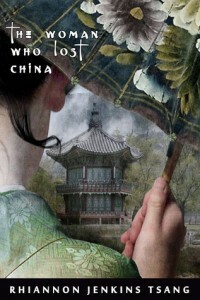 What I love about this novel is this: Jenkins Tsang so effortlessly weaves modern Chinese history into the story. And she does this in a way that is appealing both to people new to this history and to those who may be experts themselves (I like to think I fall in the middle of the two!). My favorite parts of the book, as alluded to above, are the chapters set in Hong Kong at the end of the Chinese civil war and the following years. Jenkins Tsang shows what it was like for well-to-do mainland citizens to flee their homeland for the British colony of Hong Kong, where they were among the thousands of downtrodden refugees. When Manying arrives in Hong Kong, no one would ever know she was the wife of a Nationalist general. And likewise, when Bear ventures out in Hong Kong to look for work, he blends in with the other refugees. It’s haunting to read about the former KMT officers Bear runs across in Hong Kong. Like Bear, these former officers find menial work in the British colony. I’ve always been intrigued by the people who fled China after 1949 and chose Hong Kong over Taiwan, and how they assimilated into their new environment. As shown in The Woman Who Lost China, this adjustment was not easy at first. Whatever your particular interest in modern Chinese history, chances are that you will find it in this fabulous book. I really am curious if you ever read books by James Clavell, and what are your opinions about his books? How accurate are they with what you know?